The easiest and most economical way to visit Antarctica is on a cruise ship. 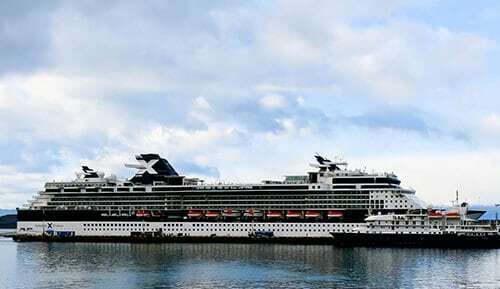 I chose Celebrity Cruises and this is my Antarctica cruise review. Firstly, you can only visit Antarctica during their Summer which is from October to March. If you visit at other times the days will be incredibly short there’ll be no daylight at all! You don’t just appear in Antarctica, you must start the trip from either Buenos Aires or Ushuaia. I flew to Buenos Aires and took a Celebrity Cruise from there to Antarctica. 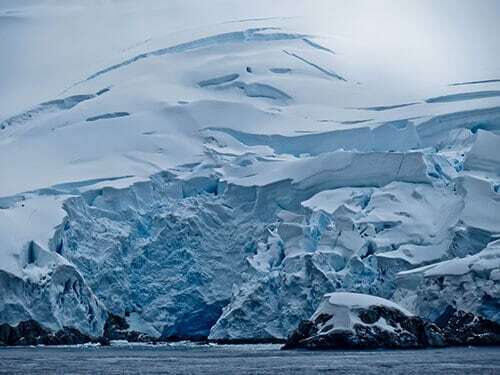 The luxury cruise spent 3 full days in Antarctica and with the unpredictable weather down there, only 1 day was clear. On the clear day the views were worth the long trip down and the cruise cost of around $6,000 for an ocean view cabin. There are lots of mountains, glaciers, snow, icebergs and penguins. 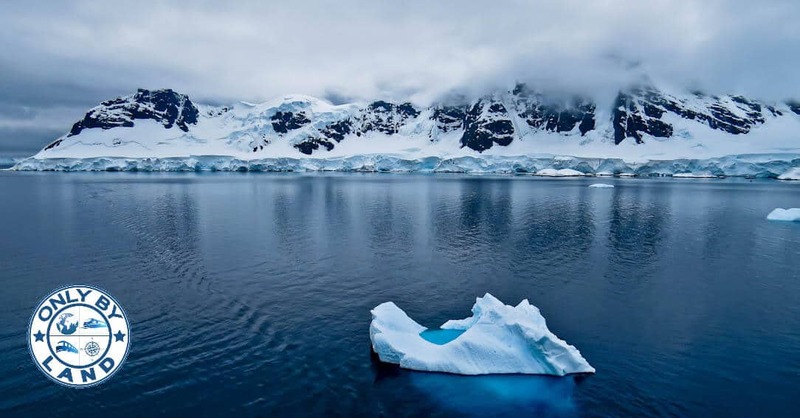 Finally, you have to see Antarctica to experience it, a photo cannot project its beauty. 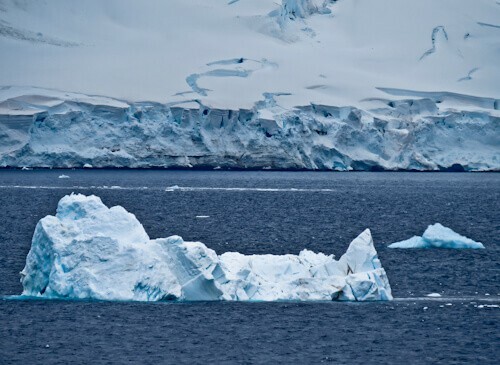 Whilst sailing through Antarctica you’ll pass lots of icebergs. What is hard to comprehend is that only 10% of the iceberg is visible. Imagine how big the iceberg is as there’s another 90% of it hidden under the surface. I did not see any animals in Antarctica but there were lots of penguins. Those black dots on the iceberg pictured above are penguins taking a free ride north for the winter. 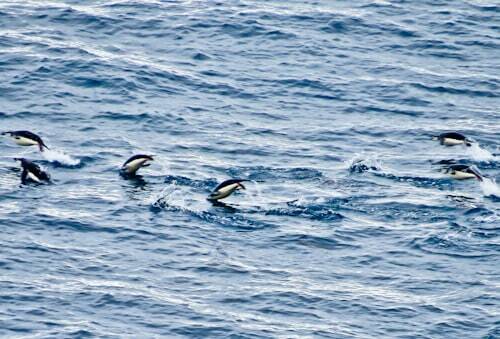 Whilst cruising between Antarctica and Cape Horn you’ll see lots of Penguins swimming north. I guess the ones that are swimming weren’t lucky enough to find an iceberg floating that way. The penguin swimming style is to constantly propel themselves out of the water as they’re moving forward. They swim pretty fast as they were keeping up with the cruise ship! Lastly, if you’re lucky you’ll see humpback whales or leopard seals. For your photography requirements during Antarctica cruises it is not about the camera you take. The most vital piece of equipment you need is a zoom lens. It is not safe for the cruise captain to take the ship close to glaciers (remember the Titanic?!). The number one choice camera would be a high end DSLR with a minimum 800mm+ zoom lens. This would produce crisp pictures of your once in a lifetime trip to Antarctica. As I was starting a journey from Antarctica to Alaska by land (and sea) I could not bring a DSLR camera with several huge lenses. For this reason I took a small bridge camera which has huge zoom and takes good quality pictures. Check out the Only By Land Store for the latest bridge camera I’m using. Furthermore, these bridge cameras are also a much cheaper option than a huge lens. With this selection you don’t make yourself immobile with huge thick clothes. You’ll be able to move around the deck freely taking photos and enjoying the views. If you wear 2 pairs of gloves try a thick pair over the thin pair. You can take off the thick pair when you want to use your camera without your fingers freezing. When the cold starts to bite you can put the thick pair back on. From Paradise Bay the cruise ship sailed through Schollart Channel & Dalhan Bay heading towards the northern tip of Antarctica and Elephant Island. I was lucky in Paradise Bay with the weather but whilst cruising northwards it became misty. In fact due to the misty weather conditions I did not see any of Schollart Channel & Dalhan Bay or Elephant Island. From Elephant Island the cruise ship headed towards Cape Horn, Chile on the way to Ushuaia, Argentina. Whilst sailing from Antarctica to Cape Horn I was able to enjoy steak dinners, watch shows, drink cocktails and go to the gym. This is a pretty good way to start my trip which will take me all the way to Alaska. The cruise ship passed Cape Horn which is the southern tip of South America. Located on Hornos Island in Tierra Del Fuego, Cape Horn is a very windy and cold place. 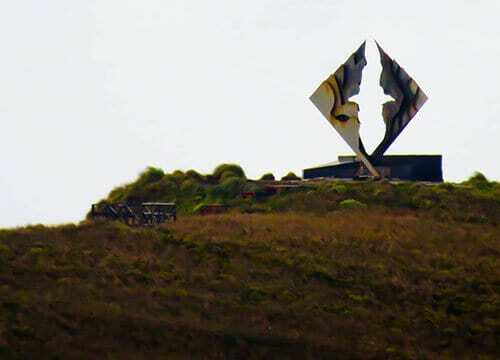 The albatross-shaped Cape Horn Monument is there to commemorate all the boats that have sunk and sailors who have lost their lives in the area. Fortunately the cruise ship sailed around Cape Horn without any problems and headed safely to Ushuaia. This is my dream destination. Your post has fueled my desire more. lovely post. How cool is this?! I didn’t know Antarctica is considered a desert- learn something new everyday. I’d love to go just to see that many penguins chilling in their natural habitat. Great tips on what to wear, I’d want to be able to move around freely too even in the cold. Wow, you are so lucky you made it to Antarctica. I have nursed the dream to see Antarctica one day. 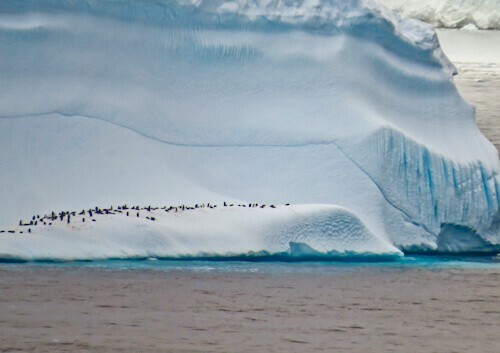 The picture of penguins dwarfed by the massive iceberg is one of my favourite in this blog. I hope I get to re live my childhood dream one day. Whoa! I never knew that Antarctica is a desert! Usually, when I think of deserts, O imagine heat and sand. This is so interesting to know! I love penguins and I’ve seen some here and in other places in Asia but I wonder how different they are from those in Antarctica. Just looking at your photos (which are all really cool, literally and figuratively), I am feeling cold already! Our plan is to take our daughter to every continent by the time she is 10 years old. Antarctica will obviously be the last of the 7 continents we visit. Since she is only 2, it is still a ways away, but your post makes me excited for the trip someday! I had no idea Antarctica was considered a desert! Antarctica is just absolutely jaw-dropping, seeing and standing next to a glacier is amazing. Antarctica is my dream destination but the prices are so high that at the moment I can’t make a real plan for visiting it. While I was in Chile at the beginning of the year I have met people whom have been to Ushuaia and Antarctica and they were telling how beautiful it is. I would love to see the big penguins in their natural habitat. I am so jealous. 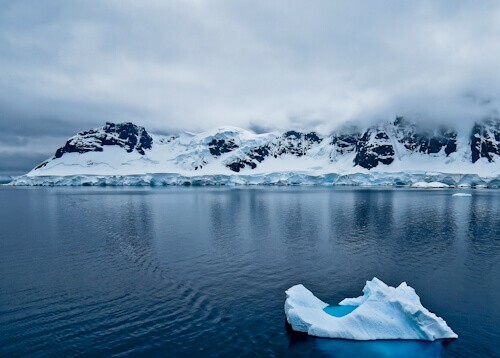 I really want to go to Antartica but I get so sea sick and I heard that seas here are the roughest in the world. I have been to Ushuaia so I have got quite close!! Next time I just need to book one of the boats and cross my fingers its not too bad a crossing!! Maybe though it wouldn’t be as bad in a ship as big as the one you were on!! One day I get there, I just hope I don’t spend the whole trip being sick over the side!!! OMG!!! This is beautiful! I’m so thrilled!! I still can’t wrap my mind around the fact that what I see is only 10% of the iceberg! I really wish to visit Antartica but I have no clue how and when I’ll get to do it!!! Antarctica is somewhere I’ve always wanted to go. Do you know if the only way to get there is via a cruise like the one you took or if there’s another way? And I had no idea that 90% of the glaciers are hidden underwater. It looks massive enough as is. I would absolutely love to visit here! Cool facts too, i had no idea that Antarctica is a desert!! awesome photos, I’d love to see penguins up close in their natural habitat. Hope we make it here someday! I will be running my seventh continent marathon in Antarctica in March 2019. I can’t wait! Thank you for sharing. Penguins on icebergs! That’s one of our most desired sights in the world. We haven’t made it to Antartica yet, but it is a dream. Thanks for these great tips they making planning a lot easier. I didn’t know that Antarctica was a desert. Excuse my stupid question, but does that mean that when it does snow, that it just stays as snow on top of the ice because it’s so cold there? How does that work? Because there seems to be a lot of snow in your pictures. Those penguins look pretty happy out there! I would love to visit Antarctica! We recently went to a WWF museum about the Antarctic wilderness and its wildlife – and I found it so inspirational. You’re so lucky to have seen it all first hand! Antarctica would be fantastic on a cruise and your “beat the cold clothing list” will be followed by many now I’m sure. Great pics too! You are making the waunderlust very real with this post. Antarctica is on that list and I can’t wait to be able to fund it one day. Also, IT IS A DESERT WHAT?! Omg! This is so cool! It’s like a dream destination to me since I was a kid. Though I am not really good in cold places so I’ll enjoy your photos. And thank you for the facts you’ve written here. This is a very informative post. So glad to see a post on cruising to Antarctica! I didn’t realize that Celebrity went there — I’d only seen friends take Quark to get there. Very cool — will look into this same cruise and see if I can go later on this year! This must have been such a unique experience! I’ve never been on a cruise ship before so not sure how I’ll cope with that, but this sounds like an adventure worth considering! We love cruising and this looks such an interesting but cold itinerary. Useful information about Antarctica too. This looks like such an exciting trip! Antarctica is the only continent I have never visited, and I am dying to go. I love your amazing photos of the ice too! Now that is a cruise I could get excited about! I always imagined Antarctica requiring a massive trek on land. It never occurred to me I could take a cruise! Definitely putting this on my list. Thanks! Thanks for sharing an awesome post with us! Wow we can’t believe that only 10% of the iceberg are visible! They must be huge! Would be good to stick a go pro underneath the water to see some of the 90 % of it! We were recently in Patagonia and couldn’t go to go to Ushuai 🙁 We hope to visit Antartica one day! Your picture with the Pinguins on the iceberg made us want to be there right now! 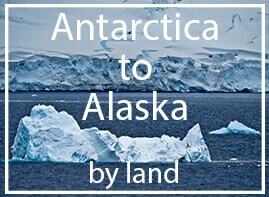 We loved that you also share some informative facts about Antartica! We learnt a lot from your post! 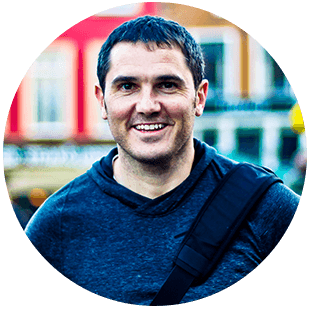 Thanks for sharing:) keep up the great work James! What an amazing visit – so glad it was clear for you on at least one day must have made it worth it! Love the picture with the penguins! I think this is truly a place to see in person to really get the total awesomeness of it all!! Fab!! Wow, all the photos are fantastic, especially the one of the penguins on the iceberg! I’ve seen icebergs before in Newfoundland and Iceland but they were tiny compared to the massive one in your photo! That cruise must have been an amazing experience. I’m hoping I can go sometime during the next few years. Antarctica is at the top of my bucket list! Two of your facts about Antarctica kind of blew me away – the fact that it’s a desert (what?!) and that the Andes start off there. I had no idea of either! I’d love to visit Antarctica one day but absolutely hate feeling cold, so can’t help but think it’d be one of those occasions where I enjoy the trip more in hindsight when I’m home! I never thought we can actually visit Antarctica! It is a surreal destination. Your pictures are breathtaking! Must be an experience of a lifetime! I didn’t know you could take cruises to see Antarctica. For some reason I thought it was something only scientists and adventurous explorers saw. I also had no idea the Andes started there either. Is that the bit that sticks out and looks like a tail on the map? Antarctica is like the final frontier for human exploration on earth. I’d love to combine a trip there with a month trekking and photographing Pategonia. Watch out for the icebergs. I always wanted to visit Antarctica and they say that travelling from South America is one of the cheapest and shortest ways as compared to from Australia. Definitely is a different world. You managed to get some good pictures in spite of bad weather. Interesting! Look like such an adventure. I didn’t realize only 10% of the iceberg is visible. That’s incredible! I would love to take this trip. I got so excited reading this post! For me, Antartica is a dream destination. I’ve never even tried to plan a trip there as I just feel where would I even go after that lol. That photo of the penguins on the glacier is amazing. Such an interesting place to visit. Antarctica looks amazing and is on my bucket-list. I have always wanted to visit. Didn’t know cruise ships visited. Stunning photos and I pinned this for later. Thanks for sharing! Oh wow! Antarctica! So excited just reading about it. We hope we can visit someday. The cruise sounds amazing. Sounds like a once-in-a-lifetime thing that you just have to experience to believe. You are damn lucky that you made it to Antartica. I wonder when my dream would come true. Got to learn so many new facts about the continent all thanks to this article. Gorgeous pictures! Simply…WOW – this is my dream destination and I hope to get there soon. I wasn’t aware this is considered a desert, thanks for sharing that with us. The penguins are absolutely gorgeous and the iceberg are impressive. You are so lucky for visiting this place. You have given some really Amazing Post! Thanks for the share. Really wow, I have learned very interesting things about Antarctica . The photos are simply beautiful . Having lived near Fairbanks, Alaska for 18 months (many years ago), -50F and below for two winters turned me off severe cold forever. However, you appear to like it – so well done. Just discovered your blog and like the idea. I only fly to a hub destination and travel by land from there. So much is missed out when we re at 37,000 feet (except the Alps look fantastic from that height). Visiting Antartica is my dream and for me it looked impossible. By reading your post I can gear my strength to bear so much extreme conditions. Those penguins in natural habitat look so cute. You are very lucky. this is one of the trip i missed out when I was in Argentina, but Antarctica is really the last continent i’m missing on my bucket list. great travel tips for what to pack in. it looks amazing though! I cannot wait for the day I get to Cape Horn. Nice to read the background of the monument but not a pleasant history by any means. Antarctica is really the last frontier of this world. Lucky you get to visit there!